What is Housing in Lord of the Rings Online? How do you become a house owner, where should you buy a house, what size should you buy, how do you explore your options, etc,e tc ? There are so many questions that arise when you decide to buy your first house in Middle Earth. Note: Many thanks to Rhuangar for editing the English version of this article. 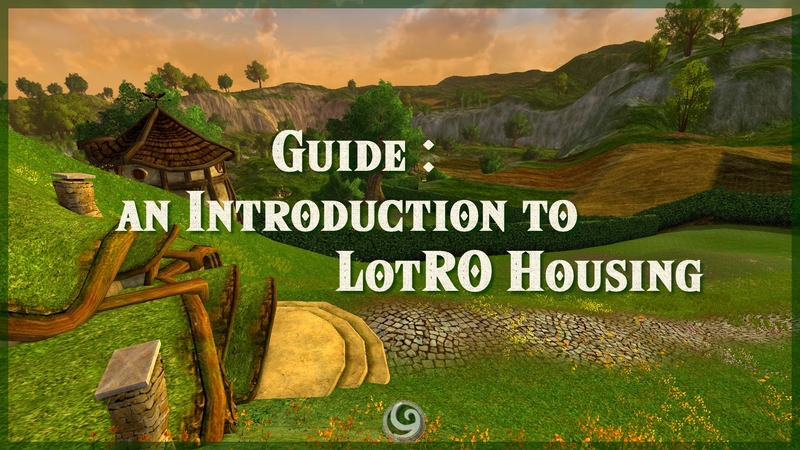 It is therefore time for D&Co du Milieu to offer you an introduction to LOTRO Housing ! Many video games (especially MMOs) offer a housing system integrated into their universe. In Lord of the Rings Online you are currently able to buy a home in one of four classic neighborhoods around JRR Tolkien’s world of Middle Earth and additional homes in a premium neighborhood, also obviously, in Middle Earth. These houses are integrated into the universe created by Tolkien and have several advantages. 2- What are the advantages of this system? The first advantage of this housing system is obviously to permanently integrate your character in Middle-earth history. From now on, you will no longer be homeless and your character will be able to boast of actually living in one of the proposed neighborhoods. When you become a homeowner in Middle-earth, regardless of the neighborhood chosen and the house purchased, your characters will have direct access to your home through a travel skill. You will get an additional travel skill on each character that is a member of a kinship to that kinship’s house. Premium houses offer a separate travel skill to your premium neighborhood (click here for a link to the specific guide on premium housing). Every house, no matter the size, has a chest that will allow you to store your belongings. The stored items will be accessible for all your characters, so it is a shared storage. By default, 30 slots are offered to you when you purchase your first house. You can then unlock an additional 30 slots (60 for kinships) by spending gold coins. If you have LOTRO points, you can go up to as many as 195 total storage slots (210 for kin houses). – Slots unlocked through LOTRO Points are kept for life no matter how many times you move. – Slots unlocked through gold coins will be “redeemed” at each move. – If you own several houses all of your housing storage vaults will be linked. It is not possible to have several vaults but you will be able to access your home storage from any house in your possession. – Personal house chests accept items bound to account or character. Kin chests only accept unbound items. Once you have acquired a house you can decorate it using special decoration items obtained in-game (an activity that we find very exciting here at D&Co). The decoration system in LOTRO has some limits, for instance, the number of items that can be placed in a home, type, and placement. However, it offers enough freedom of movement that, with a little time and imagination, a person can create their own truly unique and personalized corner in Middle Earth! At the time of the writing of this guide, there were more than 1000 different decoration items in-game. 3- What are the prerequisites for becoming an homeowner in LOTRO? Becoming a homeowner in Middle-earth is not complicated, but there are a few simple things you must first get in order. Level: The character you are buying a house on must reach at least level 15. Kinship: Your kin must have reached rank 7 (a process which takes about 3 months). Gold Limit: In order to acquire a Deluxe house you will need at least 7 Gold Coins. If you are Free-to-Play (2 gold Max) or Premium (5gold Max), you will need to raise the gold coin limit by purchasing an item from the store (395 LotRO Points). For the specificities of premium housing, see the dedicated page. You want to buy your first home and you have all the prerequisites mentioned above. The first step is to choose a neighborhood. There are currently (January 2019) five neighborhoods where you can live in LotRO. Directions: From the stables of Thorin’s Hall, head west. Follow the road south of the stables and eventually you will arrive at the enormous front of the doors of this neighborhood under the mountain. The dwarf Runi will welcome you and offer you a list of available houses. Find out more about the Thorin’s Hall Homesteads. Directions: From Duillond, take the road leading to the Shire, south. A little further on, after you cross the bridge, you will find, on your right, the entrance to the Elven housing district. Elf Barchiril is waiting for you at the edge of the road with a list of neighborhoods and available homes. Find out more about the Falathlorn Homesteads. Directions: From Michel Delving, take the road East. When you arrive at the crossroad turn south. The residential area is at the very end of this road, on your right. Andy Brockhouse is the sales manager of this neighborhood and he will welcome you before the entrance. Find out more about the Shire Homesteads. From the south gate of Bree, follow the road which leads to the Forsaken Inn in the Lone-Lands. About halfway to the inn you will find, on your right, the residential area of ​​the men of Bree. Nan Henwood is the person you’re looking for if you want to buy a house in the Bree-land Homestead. She will welcome you 24/7 not far from the entrance of the district. Find out more about Bree-land Homesteads. From the city of Dol Amroth, in West Gondor, take the road that leads south to the Havens of Belfalas. Cross the bridge at the end and you will arrive at the entrance to this residential area. Before and within the Cape of Belfalas Homesteads. Find out more about Cape of Belfalas Homesteads. The next step after you have decided which Homestead you would like to live in, is choosing the exact house! However, the way the outside of your home looks depends on where in a neighborhood you decide to buy. A home in the woods does not have the same appearance as a house on a river. Step 1 : go to the chosen Homestead (Shire, Falathlorn, Belfalas…) and enter any neighborhood. Step 2 : Visit the neighborhood, analyze the locations of homes, and choose the one you like. Remember its address! Step 3 : Get out of the neighborhood and go back to Housing Broker. Step 4 : From the Housing Broker, you will have the list of all houses available for sale. You just have to find the chosen address, then decide which neighborhood you want to live in. You can choose a neighborhood that’s crowded where you will have many neighbors, or a quieter one where not as many houses have been sold yet. Direct purchase: if the chosen house is available, you will see a sign planted in the garden. Click on it and you can buy your house if you meet the requirements. Indirect purchase: You have visited a neighborhood but the address you like is not for sale. No worries, go to the housing broker of that Homestead (the ones mentioned above, Runi, Barchiril, Andy, or Nan) and browse the long list of neighborhoods within that district and houses available to find your address. Then click on “Purchase” and you’re done. You are now the owner of a house in Middle-earth. Upon purchase of your home, a new travel skill will be available for each character on your account. Upon entering your home, you will find the chest in one of the rooms. You will then be able to unlock additional slots if you wish. From your character panel (“C” key by default), click on “House”. It will display your new housing panel and information about your houses (address, neighborhood, etc.). Note : The arrow will allow you to go directly to the chosen house. This is a “maintenance fee” of sorts, which you must pay each week. You can pay in advance (up to 26 weeks) by moving the cursor over the desired number of weeks. Note: if you are a VIP player maintenance is free for any homes you own on the Cape of Belfalas. Here you can manage the different permissions of your home. You can limit access to certain people while giving others more access. Some people do not allow anyone into their home. Others will allow certain people in but not others. Some may allow people to come in but will not give people access to their storage, decoration use, etc etc. Note: the “owner” field includes the rights of all characters of your account. “Everyone”: Allow here the visit, the use of the decorations, and the upkeep. You can leave your house for another one. Just click on the button and you will then be asked for a confirmation. You can only buy a classic house every 24 hours. The abandonment of a house is not a sale, so you will not recover your starting bet. When abandoning or seizing a house, your decorations are recoverable from the escrow-broker. If you own another house, your decorations spin directly into your housing storage. One week before the end of your upkeep payment, you will receive a letter reminding you to pay the maintenance fees. Once the last upkeep has been consumed, your house is locked (inaccessible decoration items, inaccessible house, unusable travel skill, secure locker). You will have to pay the upkeep but also a restoration fee so you can re-open your house. Once the house is reopened, you will find it in its original state. 30 days after the end of the last upkeep, you will receive an alert message informing you that you have 30 days more to pay or see your house permanently closed. Please note that reopening fees increase weekly. Once the last time has elapsed, you cannot return to your home. You can still recover your decoration items from the escrow broker. 30 days later, your home will be back on the market. Once home, it’s time to personalize your newly acquired little corner of Middle Earth! Where can you get decoration items? Decoration items are scattered all over Middle-earth. Some are rare, others are common. The first NPC you may want visit is in every neighborhood: The Housing Furnisher. The Housing Furnisher will allow you to acquire your first decorations easily in exchange for some silver coins. Subsequently, deeds, quests, instances, reputation, and more will allow you to add to your collection of deco items. On D&Co du Milieu, you can find out how to acquire different decorations under the “Locations of Items” tab. Each house has a limited number of decoration slots (the exact number can be found on the pages dedicated to each residential area). These locations are divided into several types of decorations. There are unique categories, which support only one type of decoration, but also related categories where the smallest decoration will fit in the biggest slots. Inside your house, you can also change the Surfaces (Floor & Wall) and their Colors and choose the i you want in order to personalize the atmosphere. You will find these categories in the main menu of the web site, under “Decoration Items”. You will find further details on LotRO-Wiki.  That’s the end of this guide which I hope is quite complete and will allow newbies to start experiencing a very fun and rewarding aspect of our favorite game! For any questions, feel free to comment below and I will try to answer as best I can.